Oily skin can be tricky because some products will make it dry and some products will make your oily skin even oilier. For this reason it can be difficult to find a product that will balance out your skin instead of drying it out. 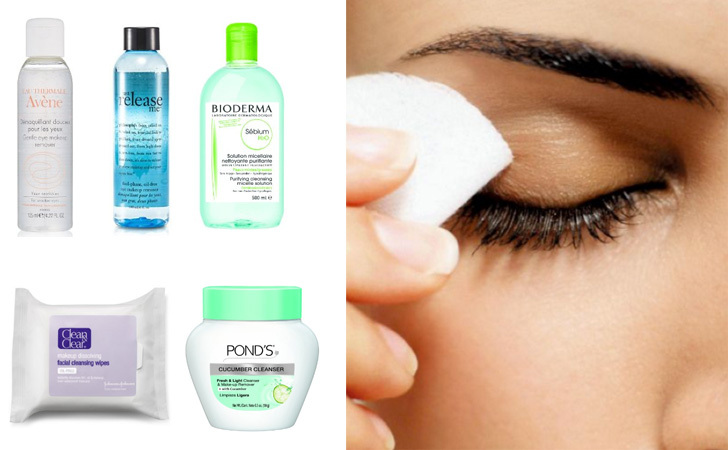 Makeup removers tend to be one of those products that are extremely difficult to find for oily skin. It involves a lot of reading labels and making sure the makeup remover you purchase is actually oil free. Finding a good makeup remover can change the look of your pores as your pores will appear smaller. The number one factor for large pores is trapped makeup and dirt. For this reason you want to use a good makeup remover daily during the mornings and evenings. When you have oily skin you want to use a makeup remover that is oil free. The cause being an oil free makeup remover will only remove your makeup. Without adding any oils back into your skin. It is vital that the makeup remover that you use does not leave an oily residue on your skin. Keep reading the following Makeup Removers for Oily skin reviews to learn more about the top rated best Makeup Removers for Oily skin on the market. Using makeup wipes is one of the easiest ways to remove your makeup as they are already moisten with the exact solution. They are also oil free. With only skin using a makeup wipes like this one can help your skin feel refreshed and clean. These makeup wipes remove all traces of makeup with one wipe. You will not have to use multiple wipes to clean your entire face. Anytime you feel the need to refresh your face you can use these wipes as they contain lavender which means they have a calming effect on your skin. They also give you a clean feeling when you use them by removing even the toughest makeup such as waterproof mascara. Waterproof mascara can be one of the hardest makeup products to remove. The reason being waterproof mascara is designed to stay in place. 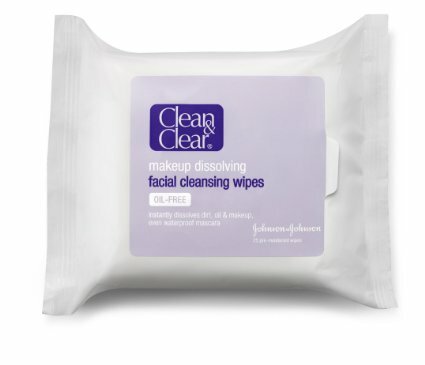 However, these wipes will dissolve even the hardest makeup and give you a clean face every time. Numerous eye makeup removers contain oil because oil will break down even the toughest eye makeup. However, if you have oily skin and use an oil based eye makeup remover you will notice your eyelids will be left with an oily residue. This can make makeup application a little bit more difficult as your eyelids will be oily. This can cause your eye makeup to not stay in place. An oil free makeup remover like this one will not only remove your eye makeup completely but it will ensure your eyelids are never oily and you aren’t left with any residue. This eye makeup remover will remove all your eye makeup in one simple step. Place a little bit on a cotton ball and swipe your eyes. One pass of this makeup remover will be enough to remove even waterproof products from your eyelids. When you are working with an eye makeup remover, you want to use the gentlest formula you can possibly find. A gentle formula will cleanse your eyes and remove makeup without the need of pulling or tugging on your lids. Did you know that premature wrinkles around your eyes are due to pulling and tugging on the skin? The skin around your eyes is equal to the skin on your hands it is extremely thin and sensitive. When you use a gentle makeup remover, you will be removing your makeup while adding nutrients back into your skin. The formula of this eye makeup remover is soft and it makes your skin feel clean as soon as you are done removing your makeup. This can be used on your eyes only or on your entire face if you chose to do so. It will gently remove all of your makeup while giving your skin the refreshed feeling that it needs. If you want to remove your makeup and give your face a deep clean, you will want to try a cream makeup remover like this one. This is a cream makeup remover that doubles up as a cleanser. When you apply this makeup remover it will not only take off your makeup but it will get deep inside of your pores to cleanse your skin. By this makeup remover being a cleanser as well it is a two in one product. The formula of this cream cleanser is very lightweight and airy on your skin. You simply apply this cleanser as you would a cream all over your face and neck. It is gentle so you can use it on your eyes as well. After you have applied it, remove it with warm water and you are ready to go. Your face will be clean and makeup free with one simple step. You can use this cleanser twice a day as a replacement to your everyday facial cleanser. Using a water based makeup remover is a great way to gently remove your makeup. It will not cause you to break out or leave your skin feeling dry. Many times makeup removers will contain ingredients that can make the skin irritated or break out. If you want to remove your makeup in a gentle manner while making your skin feel great this is an excellent option for you. It is water based so it will be gentle on your skin while getting the job done effectively. 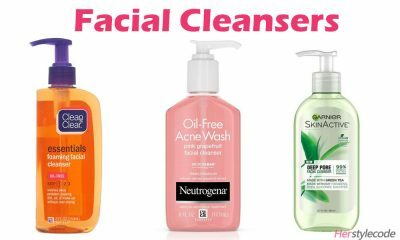 Countless times we use makeup removers that do not remove all of the makeup that is trapped deep inside your pores so we go over it with a facial cleanser. We do that to make sure we get all the makeup, dirt and oil from deep inside our pores. This makeup remover removes makeup, dirt and oil from your pores so you do not have to use a cleanser after you use this. Grab a cotton pad and watch how this cleanser removes all your makeup and dirt from your pores in one easy step. You will be amazed how much dirt is actually trapped inside your pores once you cleanse your face with this. Also this is a great make remover for sensitive skin. With so many options it can be difficult to choose a makeup remover that will make your skin look and feel clean after you have used it. Using a good makeup remover will ensure your face stays clean and your pores do not become larger. 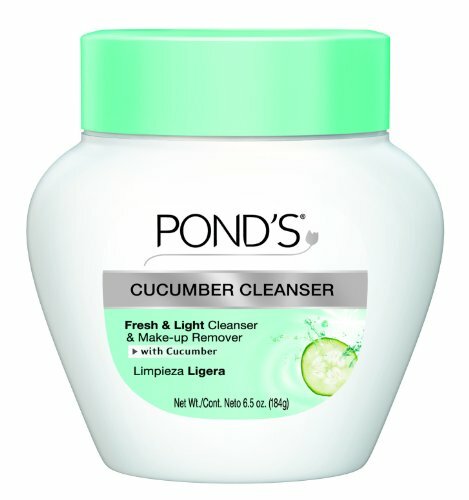 What makeup remover do you use to make sure you face is free of makeup and oils? 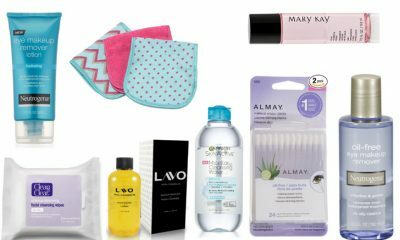 No matter what, if you don’t like these products, here are Top 10 Best Makeup Removers & Makeup Remover Wipes you may want to buy.